The delay in the arrival of Greek Prime Minister Alexis Tsipras in Turkey for more than two hours was not the result of technical difficulties or obligations that arose at the final hour. According to IBNA’s exclusive information, the Turkish side was not prepared to allow Alexis Tsipras to visit Halki and until the last minute the final consensus for the historic visit had not been given. 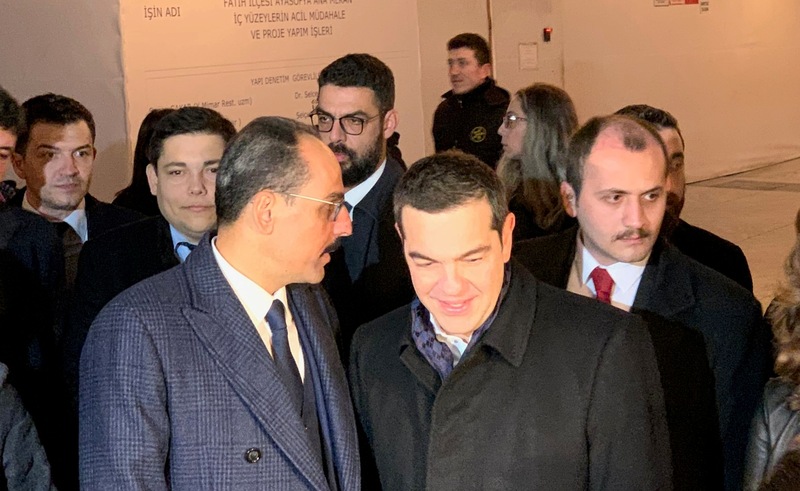 The consultations continued even when Alexis Tsipras was at Elefsina Airport, from where the Greek mission would begin its journey to the Turkish capital. The Greek Prime Minister, not accepting the last-minute “bargains”, gave the order for the trip to Ankara to be cancelled. The telephones started “firing” and eventually the green light was given from the Presidential Palace, with the representative of the Turkish President Ibrahim Kalin accompanying Alexis Tsipras in his visit to Hagia Sophia and Halki.